It’s almost New Years Eve…which means it’s time to reflect on the past, make new resolutions for the future & to pop the champagne! 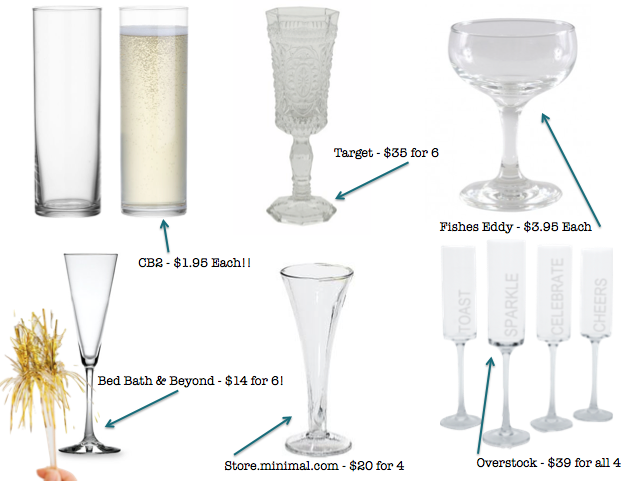 Say hello to 2015 and good-bye to the standard champagne flute! 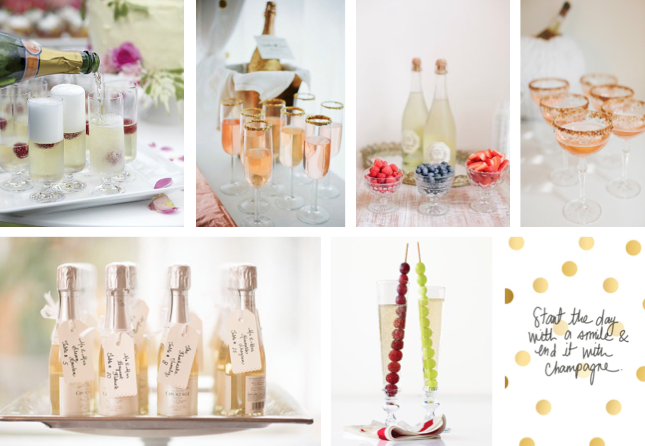 There are SO many options for fun ways to serve the bubbly stuff, so don’t limit yourself when you’re planning your NYE festivities. I’ll admit, any trip to Anthropolgie around this time of year makes me want to replace everything in my cupboard with new eclectic glassware I find there (*sigh) – but my budget just can’t justify the $18 for a single piece of glassware (maybe someday…a girl can dream right?!). If you’re suffering from a case of the “funds-a-low” after the holidays like yours truly, here are some of my favorite, budget friendly, options you can bring to your home to ring in the new year with! And don’t skimp on the presentation…remember you can serve champs a LOT of different ways. I have yet to find a way to adequately save those delicious tiny bubbles in an opened champagne bottle that works better than an actual champagne stopper (yes, they make those! And no, the spoon trick has not ever worked for me..). 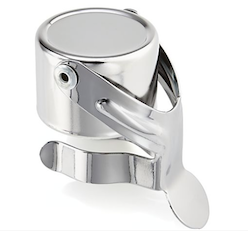 If you’ve maxed out on bubbles for the evening and want to save the rest for later, you can pick up a stopper like the below for as low at $5 bucks at Crate & Barrel – it’s worth the investment if you’re also picking up a nicer bottle of champs to celebrate with!